Moderated meetings with prominent sports personalities. Entrance to VIP dedicated stands C next to the VIP tent. Please read the instructions below. 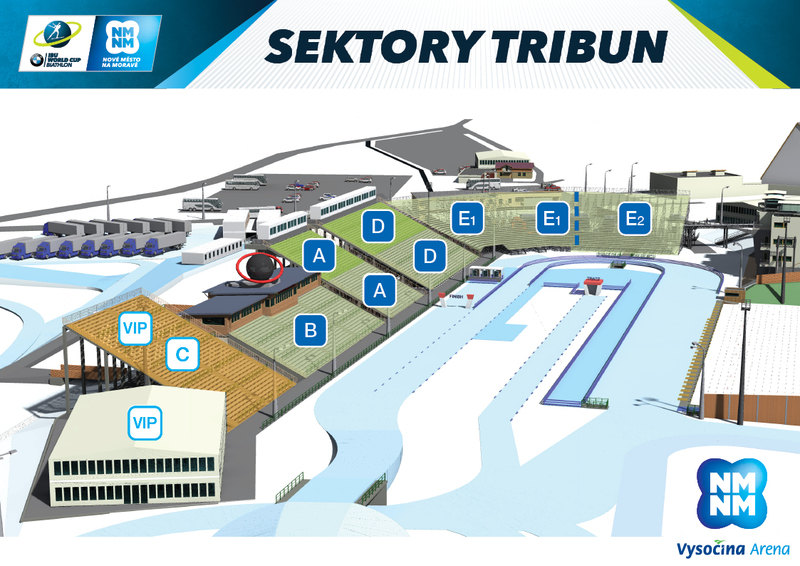 These have been written in order to provide you with detailed organizational information so that your visit to the Vysočina Arena is running smooth. The ticket is only valid for a sector, which it has been purchased for! Exact start times listed the programme section. Change of Programme is reserved. In case of cancellation of the event on the actual day of the race due to extreme weather conditions (fog, strong winds, etc.) the organizer reserves the right NOT TO refund the ticket fee. Tickets will be refunded only in case the event is cancelled long time in advance in response to adverse climate conditions (ex. lack of snow). All visitors shall respect the Visitor rules of the Vysočina Arena. 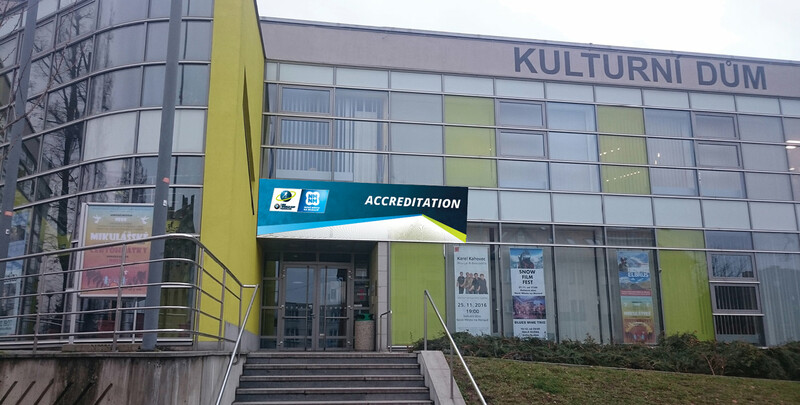 Parking cards allowing for drive-in onto designated parking areas along the Vlachovická street will be distributed via the World Cup Logistics centre inside the Kulturní dům (Cultural house) in Nové Město na Moravě. Parking on VIP reserved areas as well as driving into other restricted areas is allowed only with a valid parking card. 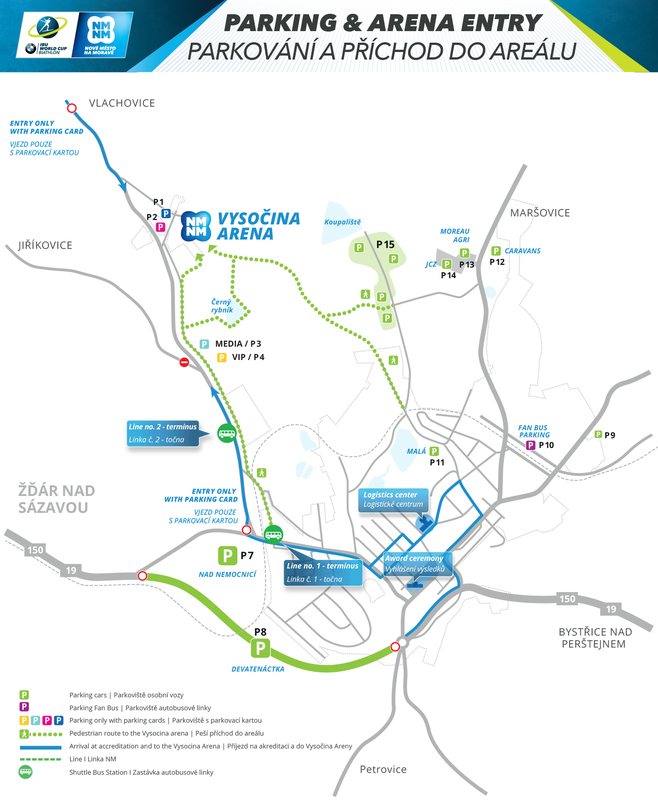 The parking area designated for VIP guests is situated by the Vlachovická road, within walking distance from the Vysočina Arena. 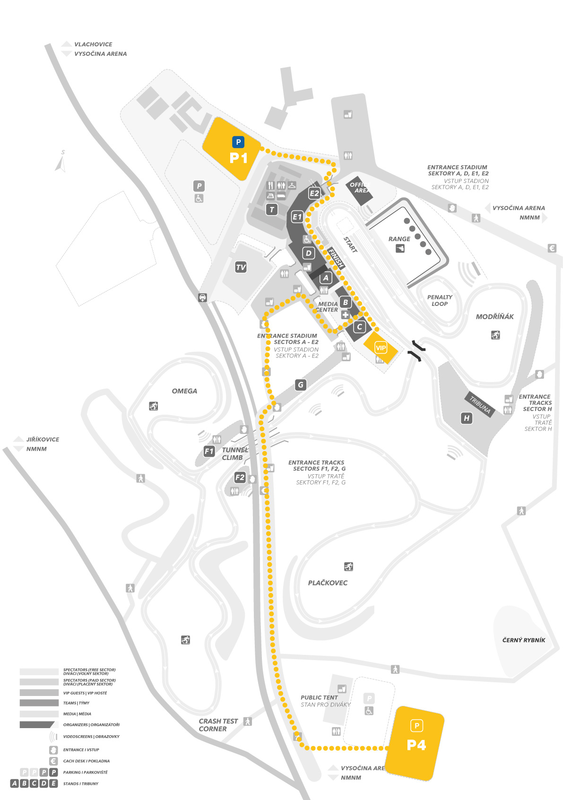 The parking area is marked on the plan in yellow colour with the P4 signage. 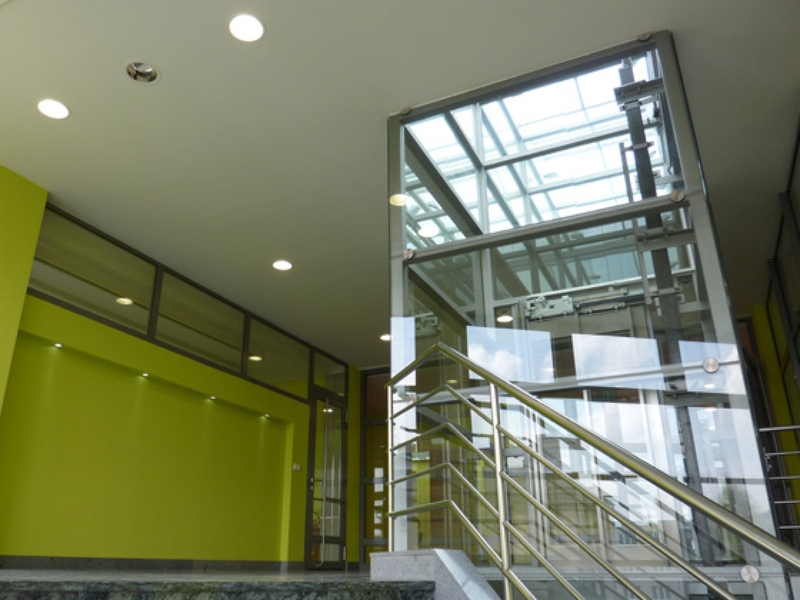 Parking cards will be distributed via the World Cup Logistics centre inside the Kulturní dům (Cultural house) in Nové Město na Moravě after presenting a valid VIP ticket. The parking cards are performed as stickers, are signed with the tag of the respected parking area and also indicate the date of validity. The parking cards must be stuck to the windscreen prior to entering all zones with restricted traffic (no entry zone on the Vlachovická road) and shall not be transferred. Location of the parking place as well as the areas with restricted traffic is marked on the attached plans. Z parkovací plochy na ulici Vlachovická (žlutá P4) je vstup zajištěn hlavním turniketem do Vysočina Areny. Oprávnění vstupu je kontrolováno načtením kódu vaší VIP vstupenky. 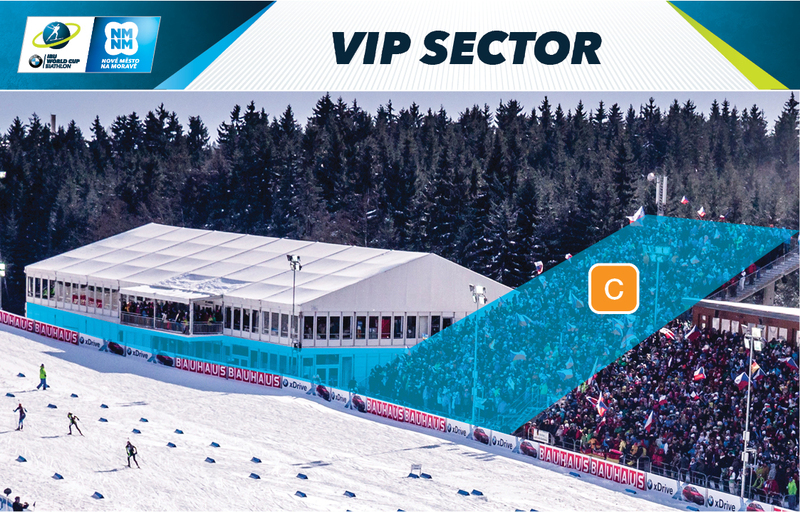 VIP zone is located on grandstands C, please follow the VIP / stands C signage. The VIP accreditation allows for repeated entry to the VIP tent and the dedicated stands C as well as repeated entry in & out of the arena. Except for the last exit of the VIP zone on the day, all entries must be registered by scanning the barcode of the ticket. VIP tent opens 2 hours before the start of the first race and closes one hour after the last race of the day.